John Tillo is in the general practice of law including but not limited to litigation, business law, corporate law, environmental law, family law, real estate, wills, trusts, estate planning & probate law, and zoning, planning & land use. John’s legal experience is diverse and varied. He enjoys the opportunity to practice in several areas of law. John’s practice focuses primarily in the areas of wills, trusts, estate planning and probate, business law, real estate law and family law. John is committed to his clients’ best interests and strives to meet their goals expeditiously. Prior to joining Pasley and Singer, John worked as an attorney with the estate planning firm of Hargrove Madden LLP in Chicago. At Hargrove and Madden, John assisted his clients with wills, trusts and estate planning. 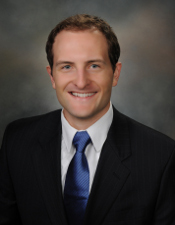 During law school, John served as an extern in the litigation department of a well-known environmental organization in the spring of 2011 and as a summer law clerk for a Chicago plaintiff’s personal injury firm during the summer of 2010. John is proud to announce that he has been selected to Super Lawyers(c) Rising Stars for 2015, 2016, 2017, and 2018. This peer designation is awarded only to a select number of accomplished attorneys in each state. The Rising Stars selection process takes into account peer recognition, professional achievement in legal practice, and other cogent factors. John is active in the Ames community. An Ames native, John served on the City of Ames Planning and Zoning Commission from 2013 to 2016. He also served as a member of the Board of The Ames Foundation from 2013 to 2019. In the past, John has prepared tax returns as a voluntary tax preparer for low-income tax filers and participated in countless river, prairie and wilderness area clean-ups. In the past, John has also organized the firm’s Adopt-a-Highway roadside clean-up day in the spring, summer and fall.